Pakistan conquered roughly a third of Kashmir (Azad Kashmir and Gilgit–Baltistan), whereas India retained control of the rest (Kashmir valley, Jammu and Ladakh). Conflict started when Pashtun tribal forces, and later Indian and Pakistani Army regulars, entered the princely state of Kashmir and Jammu. The Indo-Pakistani War of 1947–1948, sometimes known as the First Kashmir War, was fought between India and Pakistan over the princely state of Kashmir and Jammu from 1947 to 1948. It was the first of four Indo-Pakistan Wars fought between the two newly independent nations. Pakistan precipitated the war a few weeks after independence by launching tribal lashkar (militia) from Waziristan, in an effort to secure Kashmir, the future of which hung in the balance. The inconclusive result of the war still affects the geopolitics of both countries. On 22 October 1947, Muslim tribal militias crossed the border of the state, claiming that they were needed to suppress a rebellion in the southeast of the kingdom. These local tribal militias and irregular Pakistani forces moved to take Srinagar, but on reaching Uri they encountered resistance. Hari Singh made a plea to India for assistance, and help was offered, but it was subject to his signing an Instrument of Accession to India. British officers in the sub-continent also took part in stopping the Pakistani Army from advancing. The First Anglo-Sikh War (1845–46) was fought between the Sikh Empire, which asserted sovereignty over Kashmir, and the East India Company. In the Treaty of Lahore of 1846, the Sikhs were made to surrender the valuable region (the Jullundur Doab) between the Beas River and the Sutlej River and required to pay an indemnity of 1.2 million rupees. Because they could not readily raise this sum, the East India Company allowed the Dogra ruler Gulab Singh to acquire Kashmir from the Sikh kingdom in exchange for making a payment of 750,000 rupees to the Company. Gulab Singh became the first Maharaja of the newly formed princely state of Jammu and Kashmir, founding a dynasty, that was to rule the state, the second-largest principality during the British Raj, until India gained its independence in 1947. The partition of British India and the independence of the new dominions of India and Pakistan was the result of the Indian Independence Act 1947. Article 2 (4) of the Act provided for the termination of British suzerainty over the princely states with effect from 15 August 1947, and recognised the right of the states to choose whether to accede to India or to Pakistan or to remain outside them. Before and after the withdrawal of the British from India, the ruler of the princely state of Kashmir and Jammu came under pressure from both India and Pakistan to agree to accede to one of the newly independent countries. Faced with painful choices, the Maharaja of Kashmir, Hari Singh, decided to avoid accession to either country. Following a Muslim revolution in the Poonch and Mirpur area and an allegedly Pakistani backed:18 Pashtun tribal intervention from the Khyber Pakhtunkhwa aimed at supporting the revolution, the Maharaja asked for Indian military assistance. India set a condition that Kashmir must accede to India for it to receive assistance. The Maharaja complied, and the Government of India recognised the accession of the princely state to India. Indian troops were sent to the state to defend it. The Jammu & Kashmir National Conference volunteers aided the Indian Army in its campaign to drive out the Pathan invaders. Pakistan was of the view that the Maharaja of Kashmir had no right to call in the Indian Army, because it held that the Maharaja of Kashmir was not a hereditary ruler and was merely a British appointee, after the British defeated Ranjit Singh who ruled the area before the British conquest. There had been no such position as the "Maharaja of Kashmir" before that. Hence, Pakistan decided to take action, but the Army Chief of Pakistan General Sir King of India and King of Pakistan— and hence he could not engage in a military conflict with Indian forces. Pakistan finally did manage to send troops to Kashmir, but by then the Indian forces had taken control of approximately two thirds of the former principality. The Gilgit and Baltistan territories were secured for Pakistan by the Gilgit Scouts and the Chitral Scouts of the state of Chitral, one of the princely states of Pakistan, which had acceded to Pakistan on 6 October 1947. In the Poonch region, there was a large number of ex-servicemen who had served in the Darra Adam Khel and a large number of fighters from Waziristan and the Federally Administered Tribal Areas were also injected through local contacts and the Pakistan Army. The first clash occurred at Thorar on October 3–4, 1947. On October 22 another attack was launched in the Muzaffarabad sector, The state forces stationed in the border regions around Muzaffarabad and Domel were quickly defeated by tribal forces (some Muslim state forces mutinied and joined them) and the way to the capital was open. Among the raiders, there were many active Pakistani Army soldiers disguised as tribals. They were also provided logistical help by the Pakistan Army. Rather than advancing toward Srinagar before state forces could regroup or be reinforced, the invading forces remained in the captured cities in the border region engaging in looting and other crimes against their inhabitants. In the Poonch valley, the state forces retreated into towns where they were besieged. After the accession, India airlifted troops and equipment to Srinagar, where they reinforced the princely state forces, established a defence perimeter and defeated the tribal forces on the outskirts of the city. Initial defense operations included the notable defense of Badgam holding both the Capital and Airfield overnight against extreme odds. The successful defence included an outflanking manoeuvre by Indian armoured cars. during the Battle of Shalateng. The defeated tribal forces were pursued as far as Baramulla and Uri and these towns were recaptured. In the Poonch valley, tribal forces continued to besiege state forces. In Gilgit, the state paramilitary forces, called the Gilgit Scouts, joined the invading tribal forces, who thereby obtained control of this northern region of the state. The tribal forces were also joined by troops from Chitral, whose ruler, the Mehtar of Chitral, had acceded to Pakistan. The tribal forces attacked and captured Jhanger. They then attacked Naoshera unsuccessfully, and made a series of unsuccessful attacks on Uri. In the south a minor Indian attack secured Chamb. 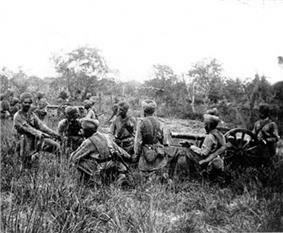 By this stage of the war the front line began to stabilise as more Indian troops became available. The Indian forces launched a counterattack in the south recapturing Jhanger and Rajauri. In the Kashmir Valley the tribal forces continued attacking the Uri garrison. In the north Skardu was brought under siege by the Gilgit scouts. The Indians held onto Jhanger against numerous counterattacks, who were increasingly supported by regular Pakistani Forces. In the Kashmir Valley the Indians attacked, recapturing Tithwail. The Gilgit scouts made good progress in the High Himalayas sector, infiltrating troops to bring Leh under siege, capturing Kargil and defeating a relief column heading for Skardu. The Indians continued to attack in the Kashmir Valley sector driving north to capture Keran and Gurais (Operation Eraze). :308–324 They also repelled a counterattack aimed at Tithwal. In the Jammu region, the forces besieged in Poonch broke out and temporarily linked up with the outside world again. The Kashmir State army was able to defend Skardu from the Gilgit Scouts impeding their advance down the Indus valley towards Leh. In August the Chitral Forces under Mata-ul-Mulk besieged Skardu and with the help of artillery were able to take Skardu. This freed the Gilgit Scouts to push further into Ladakh. The Indians now started to get the upper hand in all sectors. Poonch was finally relieved after a siege of over a year. The Gilgit forces in the High Himalayas, who had previously made good progress, were finally defeated. The Indians pursued as far as Kargil before being forced to halt due to supply problems. The Zoji La pass was forced by using tanks (which had not been thought possible at that altitude) and Dras was recaptured. After protracted negotiations a cease-fire was agreed to by both countries, which came into effect. The terms of the cease-fire as laid out in a United Nations resolution of 13 August 1948, were adopted by the UN on 5 January 1949. This required Pakistan to withdraw its forces, both regular and irregular, while allowing India to maintain minimum strength of its forces in the state to preserve law and order. On compliance of these conditions a plebiscite was to be held to determine the future of the territory. In all, 1,500 soldiers died on each side during the war and Pakistan was able to acquire roughly two-fifths of Kashmir, including five of the fourteen eight thousanders peaks of the world, while India maintained the remaining three fifths of Kashmir, including the most populous and fertile regions. ^ Robert Blackwill, James Dobbins, Michael O'Hanlon, Clare Lockhart, Nathaniel Fick, Molly Kinder, Andrew Erdmann, John Dowdy, Samina Ahmed, Anja Manuel, Meghan O'Sullivan, Nancy Birdsall, Wren Elhai, Nicholas Burns (Editor), Jonathon Price (Editor). American Interests in South Asia: Building a Grand Strategy in Afghanistan, Pakistan, and India. Aspen Institute. pp. 155–. ^ Simon Ross Valentine (27 October 2008). Islam and the Ahmadiyya Jama'at: History, Belief, Practice. Hurst Publishers. p. 204. ^ a b "Furqan Force". Persecution.org. Retrieved 14 March 2012. ^ a b c Marin, Steve (2011). ^ a b c Prasad, S.N. ; Dharm Pal (1987). History of Operations in Jammu and Kashmir 1947–1948. New Delhi: History Department, Ministry of Defence, Government of India. (printed at Thomson Press (India) Limited). p. 418. ^ Hutchison, J.; Vogel, Jean Philippe (1933). History of the Panjab Hill States. Superint., Gov. Print., Punjab. Retrieved 23 October 2011. ^ a b Srinagar www.collectbritain.co.uk. ^ My Life and Times. Allied Publishers Limited. Retrieved 2010-07-01. ^ Tikoo, Colonel Tej K. (2013). "Genesis of Kashmir Problem and how it got Complicated: Events between 1931 and 1947 AD". Kashmir: Its Aborigines and their Exodus. New Delhi, Atlanta: Lancer Publishers. ^ Sinha, Lt. Gen. S.K. (1977). Operation Rescue:Military Operations in Jammu & Kashmir 1947–49. New Delhi: Vision Books. p. 174. ^ Singh, Sarbans (1993). Battle Honours of the Indian Army 1757 – 1971. New Delhi: Vision Books. pp. 227–238. Sandhu, Maj Gen Gurcharan. The Indian Armour: History Of The Indian Armoured Corps 1941–1971. (1987). Vision Books Private Limited, New Delhi, ISBN 81-7094-004-4. Singh, Maj K Brahma. 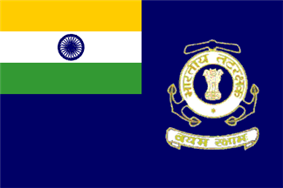 History of Jammu and Kashmir Rifles (1820–1956). (1990). Lancer International New Delhi, ISBN 81-7062-091-0.